The makers of the WHOLLY GUACAMOLE® brand announced today that the nation’s first-ever guacamole-themed lounge, officially known as The Guac Stop, will be coming to Los Angeles July 27 – July 31 at The Americana. With 79 percent of U.S. households consuming guacamole*, The Guac Stop will make avo-loving dreams come true, spreading guacamole love as well as the WHOLLY GUACAMOLE® brand’s mentality – Live Wholly™. To showcase the versatility of WHOLLY GUACAMOLE® foods, The Guac Stop will feature a customizable guacamole bar including all the fixings to create a limited-edition Los Angeles-inspired guacamole—”Guac-Kale-Mole.” Visitors will also have the chance to sample a variety of WHOLLY GUACAMOLE® products, including newer innovations, like Layered Dips, and enjoy a hands-on experience that celebrates real food made with simple ingredients. While guacamole is the main attraction, it’s certainly not the only thing on the menu. In addition to customizing personal guac creations, people will be invited to participate in a series of ongoing “happenings” ranging from a flower crown bar, to avocado ice cream creations, live music and more. 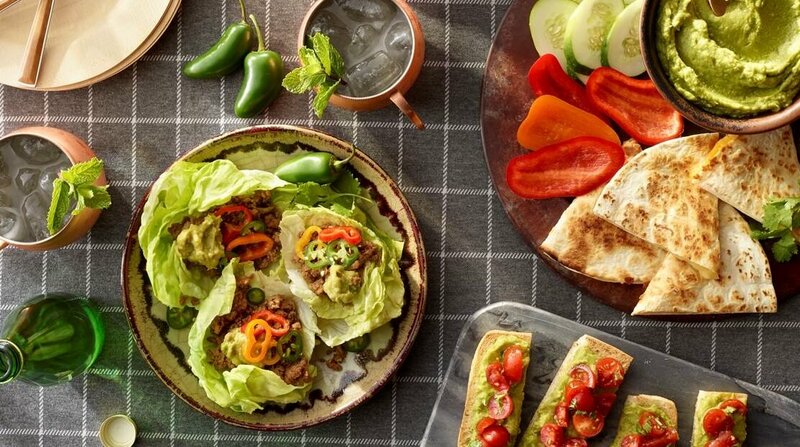 These daily “happenings” will spotlight five key WHOLLY GUACAMOLE® brand values of Well Being, Connections, Real Food, Personal Style and Feeling Good.